Congenitally corrected transposition of the great arteries is a rare congenital disease present in 0.02% per 1000 live births. It has been estimated to account for 0.5−1.4% of clinically apparent congenital heart disease cases. Common associated anomalies include ventricular septal defect, pulmonary stenosis, and left atrioventricular (morphological tricuspid valve) valve regurgitation, as well as complete heart block. Tricuspid valve anomalies, including dysplasia, straddling, or Ebstein's like malformation (with or without regurgitation) also are quite common and are reported in 14-56% of patients. Tricuspid regurgitation, in this setting of a systemic ventricle, which is the morphologic right ventricle, is much more ominous than it would be in an otherwise normal heart. Rheumatic heart disease is still relatively common in developing countries and prevalence in Asian countries varies from 2 - 11 per thousand. Association of corrected transposition with Rheumatic heart disease is very rare. Only one case report of this congenital anomaly with Rheumatic tricuspid (systemic) valve regurgitation has been described. We report a case of an adult of this congenital anomaly with rheumatic tricuspid valve stenosis and regurgitation. It is a rare combination and has not been reported in literature to our knowledge. A 30-year-old woman presented with history of palpitation. Examination revealed an acyanotic patient with situs inversus and pansystolic and mid diastolic murmur best heard at right lower parasternal area. Electrocardiogram, chest X-ray, and echo doppler study were done. Echocardiogram revealed situs inversus, levocardia, atrio-ventricular, and ventriculo-arterial discordance. There was continuity between pulmonary valve and left AV valve (mitral valve). There was thickening and doming of the tricuspid valve [Figure 1] and commissures were fused. Valve movement was restricted with moderate stenosis (area by pressure half time was 1.4 sq.cm, mean gradient - 10 at RR interval - 840 msec, [Figure 2]) and moderate regurgitation. In addition, mild aortic valve regurgitation was also seen. In retrospect, patient was interrogated for a history of rheumatic fever. She gave a history of an episode of polyarthritis with fever at the age of 15 years, but was not investigated because of lack of facilities. Thus a diagnosis of situs inversus with levocardia with corrected transposition with rheumatic stenosis and regurgitation of tricuspid valve was made. Rheumatic heart disease in association with the congenital heart disease like atrial septal defect (Lutembacher syndrome) is well known. Rheumatic heart disease in corrected transposition is rare but by no means may it be considered immune to rheumatic involvement. Interestingly, association of rheumatic involvement in corrected transposition gives a unique opportunity to study the pattern of involvement of valves by rheumatic process. In the normal heart, the mitral valve is most commonly affected followed by aortic, tricuspid and pulmonary valves in that order. Clinical tricuspid involvement is almost always associated with mitral valve involvement in a normal heart. The reason of this typical involvement has remained elusive. 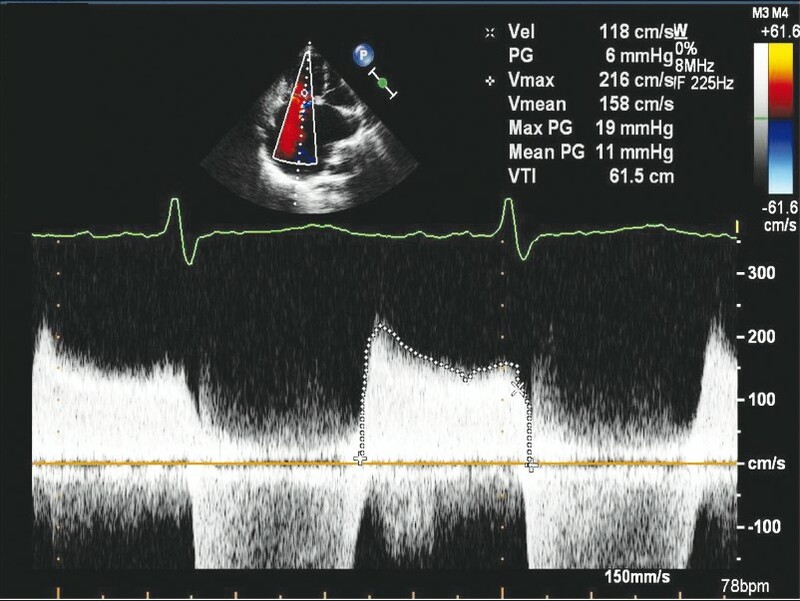 This case of corrected transposition with rheumatic tricuspid involvement supports the hypothesis that the valve facing maximum mechanical trauma due to hemodynamics are involved most commonly, which in this case was the tricuspid valve. The etiology of the tricuspid valve stenosis and regurgitation was considered rheumatic because of a history of polyarthritis, early presentation, characteristic echocardiographic valve morphology and combined involvement of the tricuspid valve and the aortic valve. 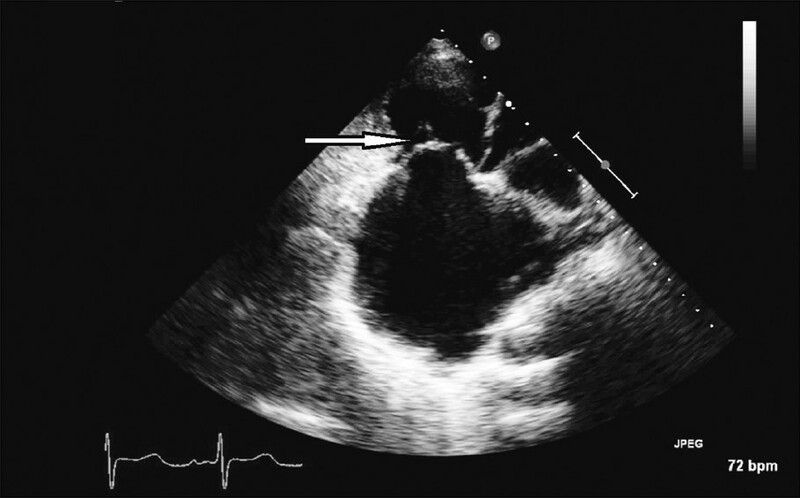 There was a case report of the association of the situs inversus with corrected transposition with rheumatic systemic AV valve regurgitation in a 63-year-old patient. The argument given against rheumatic etiology in that case was that regurgitation alone can develop in a patient of corrected transposition because of the dysplastic tricuspid valve or Ebstein's type malformation and that the incidence of regurgitation is higher with advancing age. However, it was evident in our case that the etiology is clearly rheumatic because of the association of the fusion of tricuspid valve commissures, significant stenosis and regurgitation of the tricuspid valve, mild aortic valve regurgitation, presentation at the age of 30 years, characteristic valve morphology in echo and the history of rheumatic fever. To our knowledge, this is the only report in the English literature on the association between rheumatic stenosis and regurgitation of the systemic AV valve with corrected transposition. 2. Bjarke BB, Kidd BS. Congenitally corrected transposition of the great arteries. A clinical study of 101 cases. Acta Paediatr Scand 1976;65:153-60. 3. Carapetis JR. Rheumatic heart disease in Asia. Circulation 2008;118:2748-53. 4. Parale GP, Jeurkar VN. Situs inversus with dextrocardia with corrected transposition of great vessels with rheumatic systemic atrio-ventricular valve regurgitation: A 63 year old adult survivor. Indian Heart J 1994;46:353-4.